The Lister Area Kidney Patients Association (LAKPA) is a small charity whose aim is to improve the lives of kidney patients and their families served by the Lister Hospital in Stevenage. Lister Hospital provides a wide range of services to nearly 900 kidney patients; including pre-dialysis/transplant, dialysis, assessment for living donors and transplantation and post transplantation. It manages dialysis units at the Lister, St Albans, Luton & Dunstable and Harlow Hospitals and at a dialysis unit in Bedford. LAKPA is a kidney patients association, run by patients for patients, carers and their families. It is the voice of kidney patients and liaises at all levels with staff employed by the Lister Hospital. For example, we are currently actively involved with senior staff on how best to relocate the Luton & Dunstable dialysis unit because the agreement between the two trusts to use the Luton & Dunstable premises is coming to an end soon. LAKPA has a very strong committee at present; we have 24 members, whose names and responsibilities are set out in the Contact LAKPA section of this web-site. LAKPA is a member of a federation of over 50 similar kidney patients associations in the UK called the National Kidney Federation (NKF), and actively supports the work of the NKF at a national level. Currently, we are supporting the proposal to introduce presumed consent in England. The NKF provide a free phone Helpline service; details are available from the NKF website (www.kidney.org.uk). Our priorities for the 2018 year, other than the relocation of the Luton & Dunstable unit, include improving the provision of transport for patients to and from their dialysis centres. 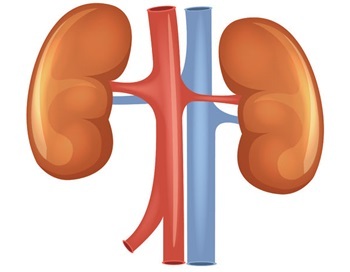 This continues to be a major concern for us and we are working closely with Dr Suresh Mathavakkannan, Clinical Director for Renal Services at the Lister Hospital, in addressing this. LAKPA raises funds to support patients in a number of ways. These are then used to fund provision which improves the lives of patients and their families but which is not the responsibility of the NHS to fund. We encourage nurses to arrange social outings (for example summer day outs, visits to the theatre or Christmas dinners) for patients and their families by providing a subsidy for all such events. We fund the cost of decorating dialyses units during Christmas. Currently, we are funding two posts at the Lister Hospital. One is for a patient who is organising a peer support programme so that patients can support other patients. The other is a Benefits Adviser who provides support to patients on financial matters, particularly government benefits. We, of course, welcome donations to LAKPA. Details are set out in the Donations section of this website; together with a list of how we have used the funding in the past. We need more members so that we can communicate with you, and send you a copy of our newsletter by post. We encourage all kidney patients, their families and others to become LAKPA members. There is no membership fee. Please go to the Membership section on this website which provides details of how to join. The LAKPA newsletter is published 3 times a year; in February, June and October. A hard copy is sent to all members who have given us approval to send it to them by post. It is available at each of the five dialysis units and is available for download on this website. We have a new editor for the newsletter and we have increased its content. We welcome views from patients on how we can continue to improve our newsletter. LAKPA has established excellent relations with a wide range of renal staff and values the support we receive from them. We are very fortunate that 3 senior members of staff are members of the LAKPA committee. LAKPA covers a wide geographical area and we have established a very important role for local patients as LAKPA liaison persons for each of the 5 dialysis units. This is the first time we have been able to cover all 5 units. We are hoping that this important role will develop and that patients will be able to easily raise issues with their liaison persons who can then raise them at our two monthly LAKPA committee meetings, if appropriate. It is free to join our Association. You can then request a copy of our newsletter which will be posted to you. You will be supporting a local charity and strengthening the voice of kidney patients and their families. LAKPA is kept in existence by volunteers like you providing time and financial assistance. There are many ways you can help us to raise money to provide support and relief for patients suffering from kidney disease in Herfordshire.